It’s hunting season once again and your tribe of Grumpfs has sent its bravest and most capable hunters to find a way into the sacred hunting grounds. Best your rivals by capturing the largest variety of animals! Grumpf is a real-time, Grumpf-placement game. 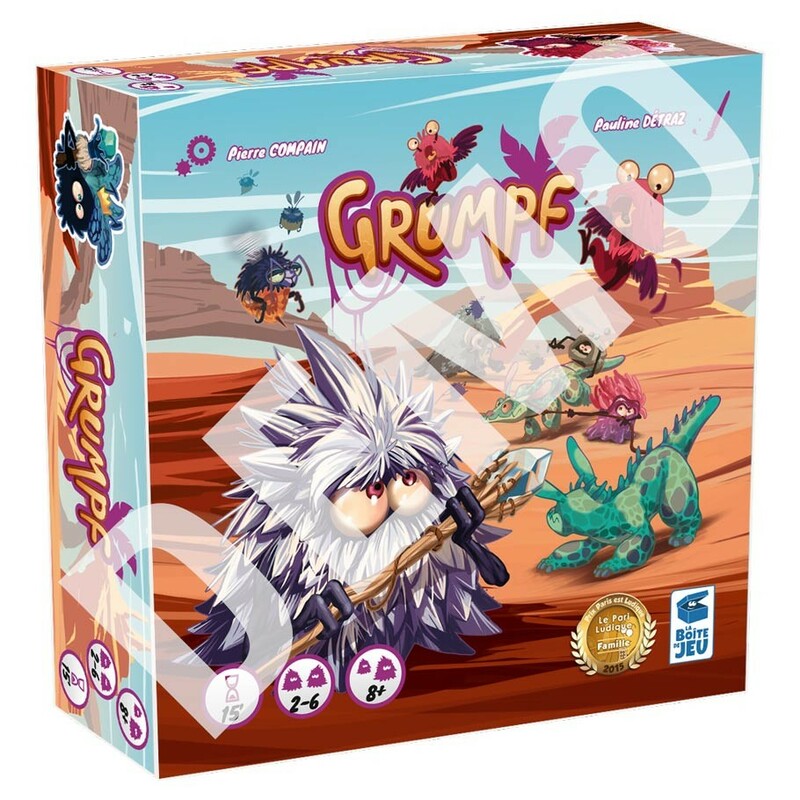 Players simultaneously place their Grumpfs in different hunting grounds. When all but one of the tribes finish placing their Grumpfs, check to see if the entry condition for each hunting ground was met. If so, the tribe who assigned the strongest group of hunters will get the lion’s share of the spoils. If, while placing your hunters, you notice that an opponent has stacked a hunting ground with their best hunters, feel free to club them over the head and knock them out of commission!